Beard balm only or combo? Keep your beard looking healthy and maintained with beard balm. Beard balm helps tame your beard giving it a finished look. Our balms are smooth and offer the right amount of oils to ensure your beard doesn't look greasy. 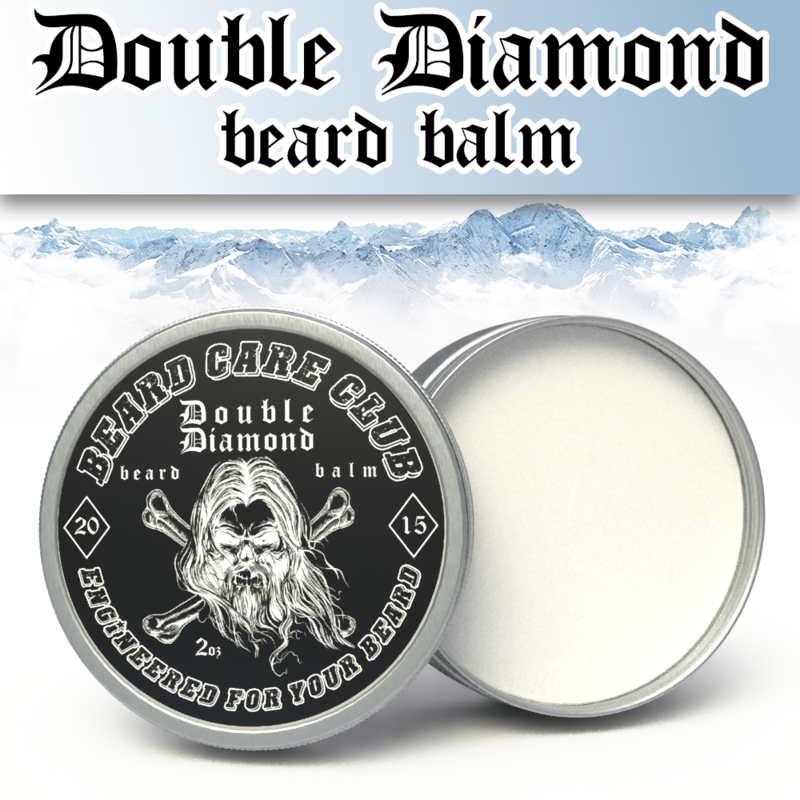 Our Double Diamond beard balm contains high quality oils, butters, and bees wax to seal in the moisture while giving your beard the hold you desire. Double Diamond is a fresh and clean scent. It’s very simple yet maintains its masculine identity. Think fresh out of the shower. Who doesn’t like that feeling? Double Diamond is scented with: Mint, Lavender, Coriander, Rosemary, Geranium, Neroli, Jasmine, Sandalwood, Cedarwood, Musk, Amber, and just a touch of Tobacco Absolute.